New Keifer Sutherland Work To Debut On Internet, Film, Broadway and TV! 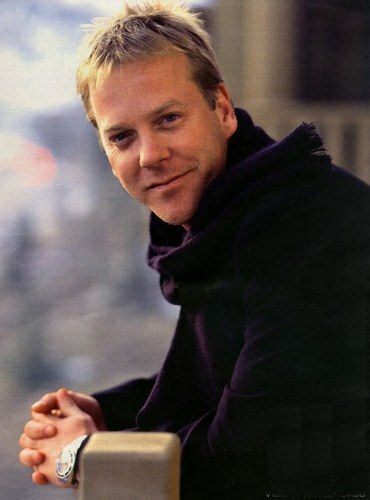 Keifer Sutherland will follow up on the hit TV series ’24’ with a web series that will run on hulu.com in March, 2011. Entitled ‘The Confession’, the 10 five-to-seven-minute webisodes will feature Sutherland as a hitman who has a theological discussion with a priest played by John Hurt of ‘Harry Potter and the Deathly Hallows’ about why his victims deserved to die. The series, which was written and directed by Brad Mirman of ‘Resurrection’ and ‘Body of Evidence’ fame. ‘The Confession’ was shot over nine days in New York last month, right before Sutherland began rehearsals for the Broadway show, ‘That Championship Season,’ co-starring Jason Patric and Chris Noth. Guess Jason and Keifer have patched things up since Julia Roberts left Keifer for Jason years ago. With major work in Film, TV, Theatre, and the Internet going on all at once it is no wonder Keifer is thrilled. All he needs now is a radio show!